Hi, I’m “Mike”. I’m a 24 year old young guy who is in love with this beautiful gal named “Liz” who I met while in college. I want to spend the rest of my life with her, so I decided it is time to propose. However, I do not want just any ring. I want a ring that will truly capture my immense love for Liz. 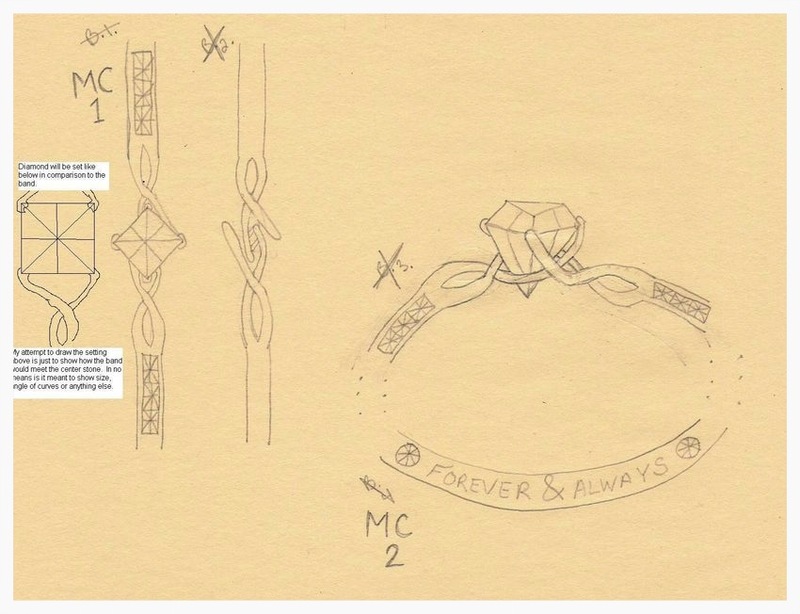 After selecting the center diamond and verifying with me the details of the ring’s design, Bespoke designers create a CAD drawling from the sketch that I drew along with Jon’s notes. After a few small adjustments to the CAD design, I approve it. Bespoke craftsman then create a mold for the ring from the CAD design and cast the ring. 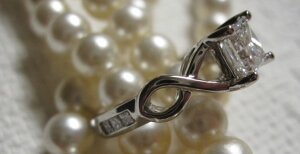 Next, the diamonds and birthstones are hand-set and the ring is polished. 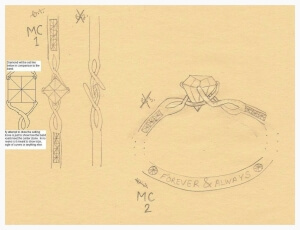 The final step is to engrave “Forever & Always” between the birthstones. With much excitement and anticipation, I meet with Jon to see the finished custom ring.